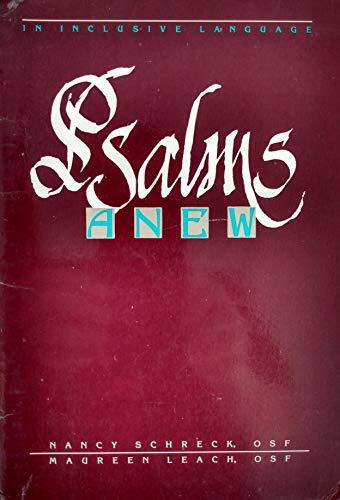 Psalms Anew has been created for those who love to pray the Psalms alone or in communal prayer and are committed to the use of inclusive language. These Psalms remain as faithful as possible to the original text so as to guard the authenticity of the Psalms while at the same time freeing them from their patriarchal bias. Contains a cover flap for use as a bookmark or as the spine of the book when placed on a shelf.